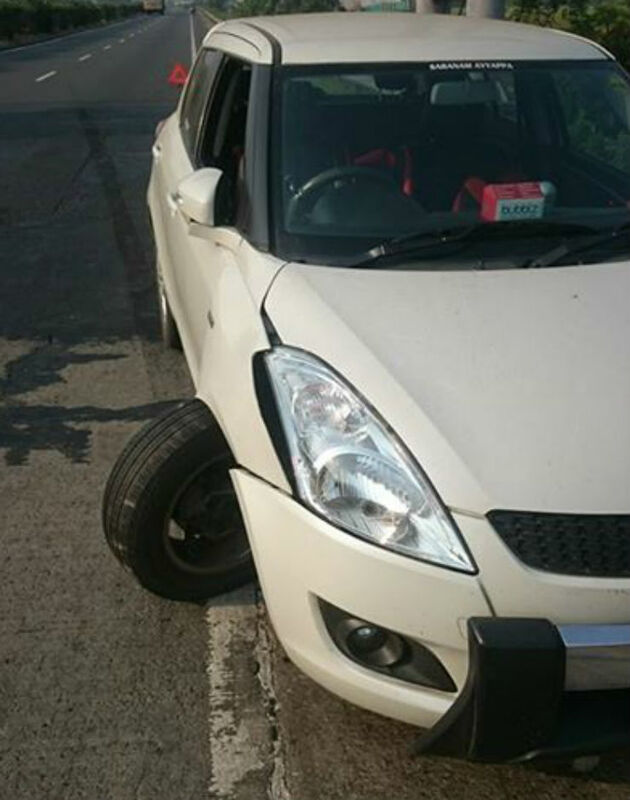 Maruti Swift axle breaks at high speed, but why? We explain! The Maruti Swift is India’s much loved hatchback that’s also big fun to drive. A Swift owner happened to recently experience a terrifying incident on a highway drive. He heard a big blast while he was driving on the Bangalore-Chennai highway, near Krishnagiri. Here’s what happened next. The incident occurred when the owner was on the highway, driving from Coimbatore to Bangalore. He was driving at 80 Kmph near Krishnagiri when he heard a loud blast. Thinking he had a tyre burst, he decided to bring the car to a halt on the side of the road. Cautiously, he somehow managed to stop on the shoulder of the road. Luckily for him, the sudden breakdown didn’t cause any accident. Upon getting off, he realized that the front right wheel had snapped right off and that the lower control arm was damaged. He had to call a tow truck and send the car to the dealership. The dealer changed the whole front right suspension and replaced the damaged parts. The entire incident is scary, no doubt, as it can lead to a major accident. It made us think about why it happened. The owner says there was no major noise that he heard before the incident. The owner said that he was advised to change the link rod during his last service, but he didn’t. But a link rod suddenly failing doesn’t cause the entire suspension to get torn apart. The car in question is a 2013 model and has run close to 65,000 kms, according to the owner. The car had also met with a major roll-over accident 3 years ago – It was repaired afterwards and was running fine. The dealer on the other hand, said that this was a wear and tear issue. This is not a common incident that you come across. While this is a one off, this could happen to others in other cars as well. 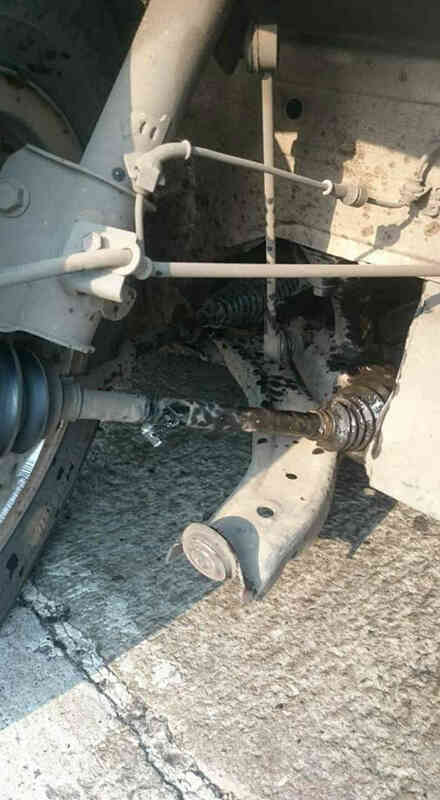 There is a possibility that if a car does meet with an accident, the suspension can get damaged and if it is weak, any stone or pothole could easily dislodge it and cause the same issue. There could have been a manufacturing defect. It is common for manufacturing defects to take place, which is why we see a massive number of recalls that are taking place across the world. Ignoring service advisors. Sometimes, if your service advisor tells you that a part is weak and it requires change, and you can feel a change in the car, might as well get the part changed. Taking a risk on such things is not a good idea. Adhere to the service schedule. If you follow the car’s service schedule and all parts are changed on time, the chance of something like this happening is rare. Make sure you go to an authorised service station or a reputed dealership (in case you don’t want to go to the manufacturer’s service station) for any major work. In case you opt to go outside, make sure that the parts being used are genuine ones and not fake. Don’t ignore noises. In case you hear a new noise that is coming from the car, it could mean that some part is about to give way. Make sure to get it checked. Always give the car a thorough lookover before heading out on a trip. Make sure the car is in the best condition. If you want 100% reliability from your car, keep it stock. Putting larger rims and tyres will cause accelerated wear and tear on the car. This is something that does need to be taken into consideration. If your car has met with an accident previously, make sure that everything is put together the right way. Sometimes only authorised dealers have the required torque for bolts, etc. Make sure everything is done to the correct spec. Check wheel alignment. If there is wear and tear in the suspension, it could lead to the alignment going wrong at a faster rate.